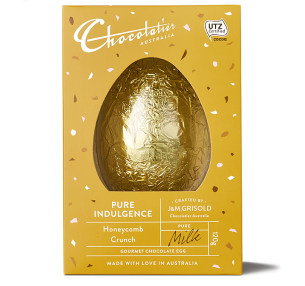 Kennedy & Wilson's Honeycomb Egg is made from smooth milk chocolate and with crunchy shards of honeycomb throughout. 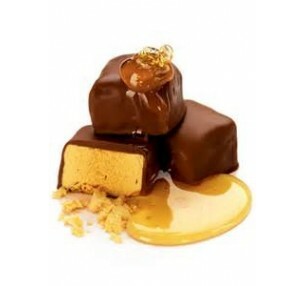 A splosh of 'honey' is seen dribbling down the gourmet treat, with an extra sprinkling of honeycomb atop. Send somebody's tastebuds buzzing over the Easter break! SOLD OUT! Chocolatier Honeycomb Milk Egg is always a best-seller. The egg is made from ..